There are cloud-based website building tools out there, but many of them are fairly straight forward websites for businesses and online stores. In travel and hospitality industry companies need more tailored solutions. With Webiny, which integrates content management and booking system in one software-as-a-service offering, travel agencies can start selling online. Combining front- and back-end, the system is also integrated with banner management and email marketing as well as social features. When I spoke to Webiny co-founder Goran Candrlic last year, he talked about lack of security of many PHP based online website builders. While it is hard for me to assess, Webiny is said to be a secure solution. Additionally, the front end can be customized, and the website will even be hosted by the company. Candrlic and his partner Sven Al Hamad have been building travel websites for their web development clients for a number of years now. 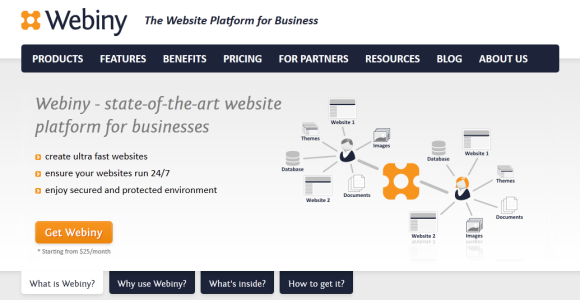 Webiny is a result of their long-term collaboration. Webiny’s competitor is Checkfront. Here is how the prices compare. Webiny is on the higher end, charging between Euro 20 and Euro 770 per month, while Checkfront offers its solution for Euro 18-170 per month. Both companies are after small and medium size market. According the Airlines Reporting Corporation to of which in the US there are 9,386 travel agencies (total of 15,671 retail locations). So for the SME pricing, the segment Webiny targets is pretty small. The question is if the service will be offered in other languages, and if hospitality industry would opt in (there are around 200 000 hotels in the world). But then again, they sell nicely via booking.com and other travel portals. I wonder if Webiny can team up with the fast growing hotel booking websites Oktogo or Ostrovok, which are approaching 150 000 hotels in their booking system. In our latest post about Oktogo funding round we reported that the company is planning to create online presence for 10 000 Russian hotels, planning to spend $10 million of the new funding on this task. Perhaps Webiny could be the right tool for that.